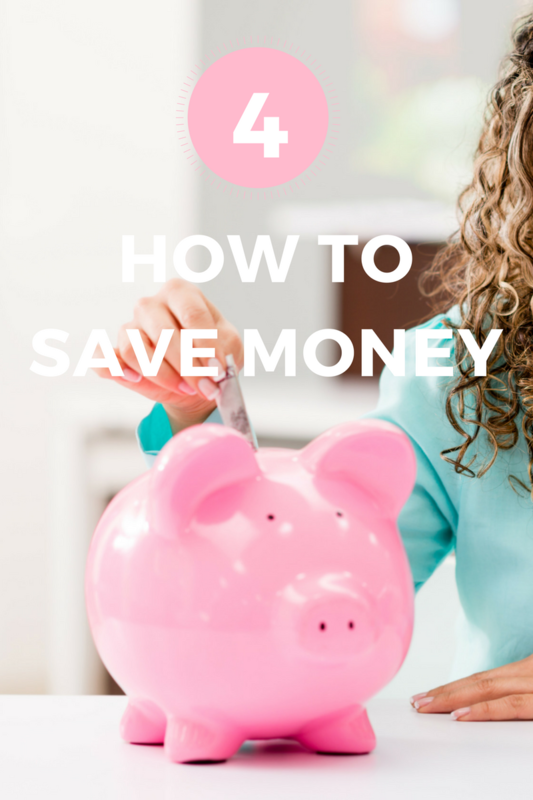 One of the most asked for posts in my series has been how to save money. So here you go! A penny saved is a penny…er…kept? I’m better at saving than quotes clearly. Saving money on travel takes time but it is worth the effort. Never assume that deal you’ve just had an email about is the cheapest, especially as prices go up and down so quickly. If you have a destination in mind use Skyscanner and set up an alert so you are notified when the prices go down. Otherwise use their ‘everywhere’ tool to find the destinations with the cheapest flights and holiday there, just fill in the dates you want to travel and leave the location blank. You can also use Momondo which is very similar. Once you’ve got a price, double check it against the airline’s own website in case they are having a sale. If the airline is overseas – see if you can translate their website or get a friend (if you have one in that country) to have a look and see if it works out cheaper buying the ticket there or via the UK site. If you are traveling around a country it is often cheaper to book your flight there and back beforehand and book your internal flights while you are there. I did this in Vietnam and the price was half what it would have been if I had booked in advance via a UK website. Just get your hotel or hostel to print out the e-ticket and Bob’s your uncle, savings made. Via Paris Hack For some bizarre reason it’s often a lot cheaper to fly from Paris on a double leg journey via Heathrow so from Paris, to Heathrow, to New York. Have a look if you live in easy distance of the Eurostar, you could train to Paris and fly from there. It’s only going to add a couple of hours onto your travel time and you could potentially save a few hundred pounds. New to the UK is website Nimber, where you can become a one-off post woman for some cash! If you are making a journey anyway and need some cash have a look on here before you go to see if anyone will pay you for delivering their item or package. You might recoup your travel costs or even make some extra dosh on top. Alternatively, if you have to send something and can’t afford the courier costs, have a look on here and see if someone will do it for cheaper as it works both ways. Seems like a handy way to give your ex back their stuff without having to ever see them again? Perhaps that’s the real reason why the service was started! UK train service is abysmal. You often spend more money and time traveling on a train than it takes/costs to get to Spain! Claim back money for terrible journeys easily using the super helpful website delayrepaysniper.com this is great for commuters as you can set up an account with your regular travel times and it alerts you and reminds you to claim. Always check if there is a discount code online before buying something. Just google [insert name of online shop] discount code 2017 [insert month]. It’s quite rare you won’t find something. Get yourself a discount card to blag any savings going. I love my Boots advantage card as your points add up pretty quick and then you can use them to buy gifts or food when you’re running low on cash. The Taste card is great for people who like eating out, you can get up to 50% off meals or buy one get one free. Use sites such as Ebates or Topcashback to shop through to get money back when you shop online, you can use these on top of discount codes. Even more money saved whoop whoop. I like learning new things and a few weeks ago I signed up for an online course from eCareers, I then by chance saw an article online and found I was eligible for an NUS card –hello student discounts. The courses are very expensive but I saw one on Groupon for under £20 which is really the only reason I signed up. The one I signed up for isn’t on there but this driving one is as well as a few others. Just search on google for the eCareers discounts as they don’t just use Groupon. You pay around £9-19 for the course then around £12 for a 1 year NUS card. Just register for the eCareers course and then apply on the NUS website. You could recoup that money pretty quickly as there are so many discounts including 18% off Myprotein, 50% off Spotify, 10% off Asos, 5% off Amazon and much more. Double score in my eyes, learn something new AND save money! #protip you need to put in “eCareers” not E-Careers on the NUS page or it doesn’t find the course type. I always use the Moneysavingexpert website to find great deals on utility bills of all kinds including phones and insurance. I can’t really add much to the advice they provide as they are awesome. Quick tips are to turn off lights and switches when not in use, change your light bulbs to LED bulbs which are pretty cheap on Amazon, try to use the tumble dryer less and a drying rack more. Also, don’t leave your water running while you brush your teeth. If you don’t currently monetize your blog then I urge you to give it a go, I always support other bloggers and use their links when I can. If, like me, you are a busy bee and don’t have time to fanny around searching out codes and copying and pasting them just use Skimlinks. All you do after they approve you for an account is add one bit of code to your site. After that, it automatically creates affiliate links from the regular links you add to every blog post. You’re probably not going to become a millionaire, but every little helps. There’s also Google Adsense and many more programmes you can join if you don’t like Skimlinks. I cannot recommend doing your food shop online enough. Create yourself a weekly meal plan, make a shopping list of what you need to make those meals and only buy those things. You aren’t distracted by advertising displays or offers on things you don’t need and you buy much less junk food, in fact I don’t buy any (if it’s in the house I will eat it) if it’s not in my house I will be far too lazy to leave the house just to get junk food. Healthy and money saving. Use the awesome Mysupermarket to compare the price of your shop across the different stores, and if one comes up cheaper you can click to switch your cart to the cheaper shop. My favourite shop is definitely Ocado as the delivery slots are shorter, the drivers are really nice and they take your carrier bags back to recycle and give you the money back. The food is either Ocado own brand or Waitrose so it’s not the cheapest BUT. I suggest taking up their offer on your first order as you get money off, then just never use them again! If you’ve never used them before you can get £20 off your first shop if someone refers you. If you’d like me to refer you then just pop me an email on iheartcosmetics1@gmail.com and I’ll input it into Ocado who will send you an email with all of the details of how to get the discount. Mystery shopping is a way to get paid for going shopping, going to a restaurant or a gig and providing a review. There are loads of different types of mystery shopping jobs available and I’m sure some are more legit than others. My friend does this and earns decent money although I have never done it myself. I don’t know which places she uses to get these jobs but a good place to start is the mystery shopping association. So those are some of my tips, I hope they help!